Determined to leave his troubled past behind, Joshua Arden moves to New York City. When he lands his dream job at Jonah International, he is excited to enable real and lasting change. 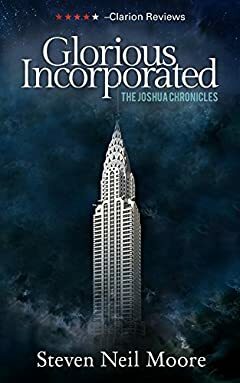 Soon after, Joshuaâ€™s life takes a drastic turn as he enters a world of religious orders, advanced technology and long-hidden secrets about his past. The CEO of a rival corporation has received orders to track a high-level asset: the key to winning a war that has been raging for centuries. But behind the scenes, a darker power is at play.